If you are a Brandon homeowner or business owner in need of roofing services, please don’t risk your largest investment by hiring unlicensed or inexperienced roofing contractors. 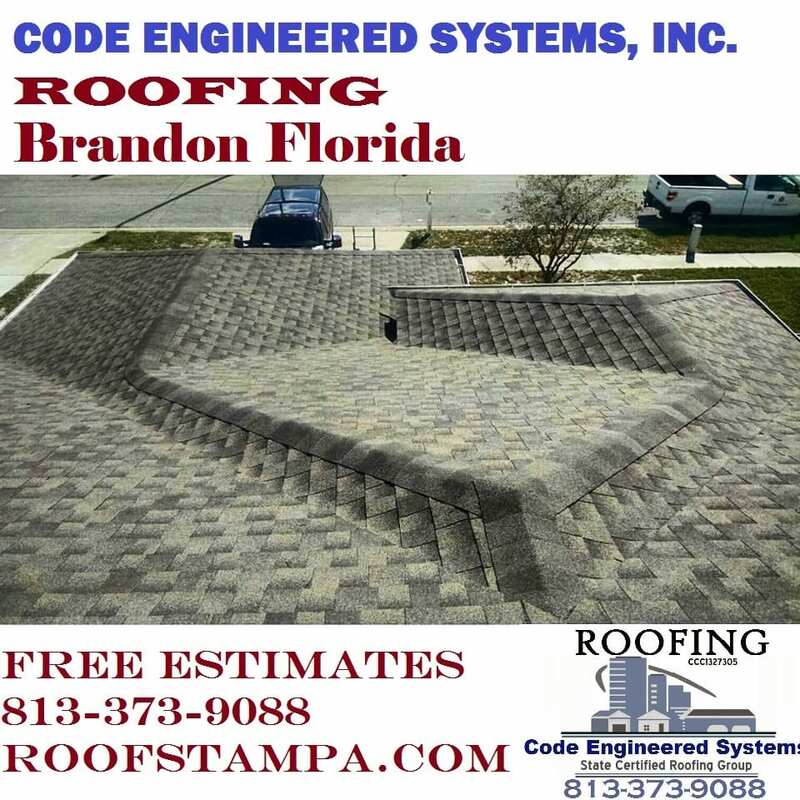 Here at Code Engineered Systems we are roofing experts with decades of experience roofing Brandon FL. and other cities & towns all over the state. You can feel safe hiring us knowing we have performed thousands of roofs and that every single roofing job we perform in backed 100%. CALL US TODAY FOR A FREE ESTIMATE! We understand that satisfied customers keep us in business with referrals and references. In fact, 90% of the roofs we install in Brandon come from customer referrals. We must be doing something right. Happy customers keep us in business. We offer both residential roofing and commercial roofing in Brandon. We have roofing crews ready to handle any type of Brandon roof replacement or Brandon roof repair no matter how big or small. Our crews and repairmen are roofing experts in shingle roofs, tile roofs, metal roofs, and all different types of flat roofs. All Brandon roofing jobs are directly supervised and managed by our GM Tim Hutchinson who has been roofing since 1976. If you are looking for roofing contractors in Brandon Florida and want a FREE ESTIMATE please fill out our free estimate form or call us today at 813-373-9088.